Note that contributions to the Trust are gifts and have no tax advantages to the donor. Please see our page "About the Trust" for more information on the work of the Trust. Online: The Trust will accept gifts of any amount through its PayPal donation system. You do not need to have a PayPal account to do so and you can use any major credit card. PayPal will convert any currency to US dollars. You can make a one time contribution or signup for monthly giving (you can cancel at an time). Click below to make a one-time contribution to the Fund. 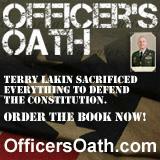 Or make your check or money order payable to "Terry Lakin Action Fund"